Now in Audiobook from Tantor Media! 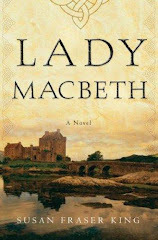 When English troops threaten Lady Christiane MacGillean's beloved castle, she sets it ablaze to keep the English out--and prevent them from taking an ancient treasure hidden nearby. Escaping into the Highlands, she is captured, taken south and thrown in an iron cage by order of the English king. 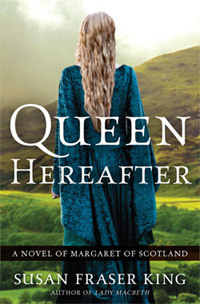 Outraged by the Scottish lady's treatment, Sir Gavin Faulkener bargains for her life—and finds himself not only guardian of her castle, but wedded to the dying lady as well . . .
As Christiane recovers--with surprising help from the English knight--she and Sir Gavin begin to rebuild the ruined tower. Slowly she comes to trust the knight, who cannot deny his deepening passion for her—but he is honor-bound to the king, and the lady remains very much a rebel . . .